I have similar thoughts, wanting to simplify my life. I have read about greenhouses built in south America in the mountains and the village people sleeping in the green houses as they were warmer , an article from years back in the hydroponic magazine - Maximum Yield - a project to help people have food. Edit : sell my house after improving it , then go an have a better ,simple life. Edited by Heirloom Spores, 21 November 2015 - 03:42 PM. you mentioned foundations and I just saw the other day about a guy who used empty bottles stuck in grout to make an insulated floor, he trenched a drain (with holy, or blessed pipe), in the back that sloped around both sides and a slight slope from the center to both sides. Then he just started mixing mud and sticking bottles in it. He had a very cool looking floor, one foot thick of dead air space. he made a picture using the different colored glass. I can't seem to find it again, this thing wouldn't let me link it anyway. I tried to save it on the other computer, I'll see if I can find it again. drain pipe that's holy is probable pipe with holes in it for drainage use. sounds like a thermal mass that is also art., helping to maintain proper temps through the seasons. I am going to have happy dreams about your greenhouses!!!! My dream is to be off grid. . . 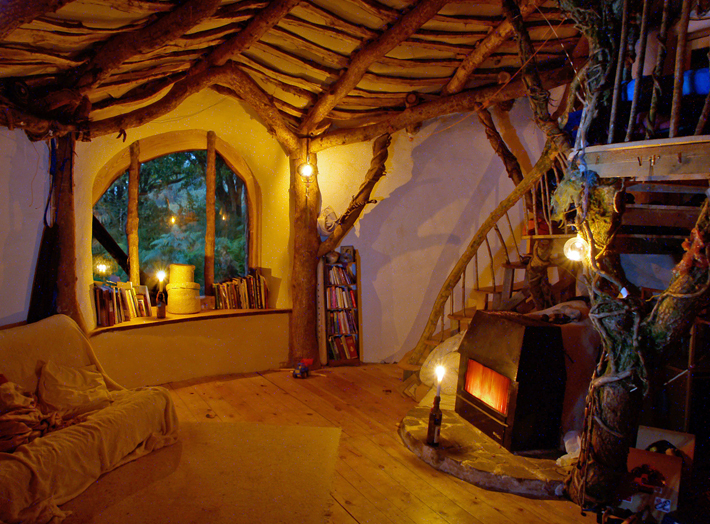 I would totally want to live in this house. I would need to do a few more asthetic adjustments however. A semi- underground home has been a dream on my wish list for a long time. Edited by Skywatcher, 12 December 2015 - 10:26 PM. now we are talking sky! 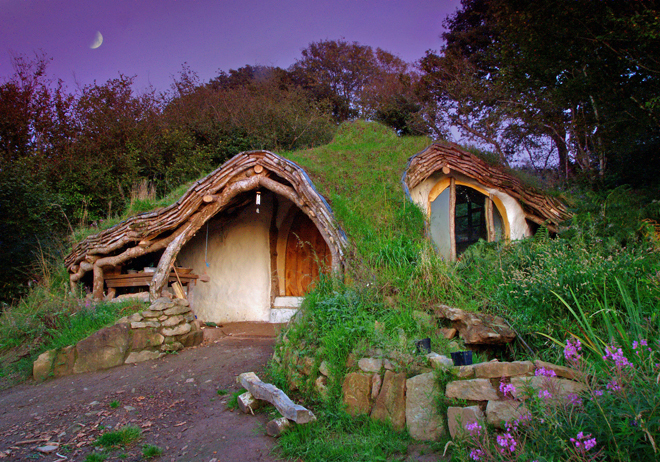 I could live in that little hobbit habitat and sit back smoking my pipe as the fire rolls in front of me, picking fresh shrooms off one of my ground grow installations. Can I nominate the above picture for picture of the month? Edited by meyer, 12 December 2015 - 11:12 PM. It's a cool house, but the picture is from Alders link, and not one I took myself so it does not qualify for a nomination. The interior is just as cool. Edited by Skywatcher, 13 December 2015 - 11:19 AM. 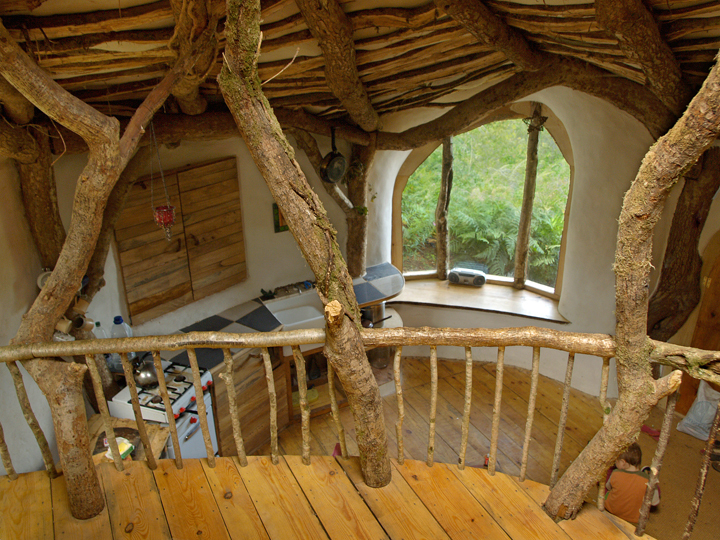 I too could live in a Hobbit house, probably energy efficient among other advantages. I have a new dream home!!!!! I built something just like this years ago for a winter goat barn. I dug back into a hillside and built 30 inch stem walls on each side and then built the wood and tin roof over, mine was covered most of the way up with soil though to keep it toasty warm in the winter. I was having a lot of trouble with water freezing over the winter and I had no way to get electric out that far and that was my solution. Even in temps of 20F to 30F below zero the water tank never froze up and it was plenty warm enough to birth milk goats through out the coldest parts of winter. When I stopped using my building for goats I cut the tin off the south side and added clear plastic and used it as a chicken coop in the winter and a greenhouse in the spring summer and fall. This design will keep surprisingly warm temps even in quite cold climates. Edited by MountainGuardian, 09 November 2016 - 10:58 AM.